Behind every great day is a great night at the Comfort Inn and Suites hotel in Jackson, WI near Germantown. 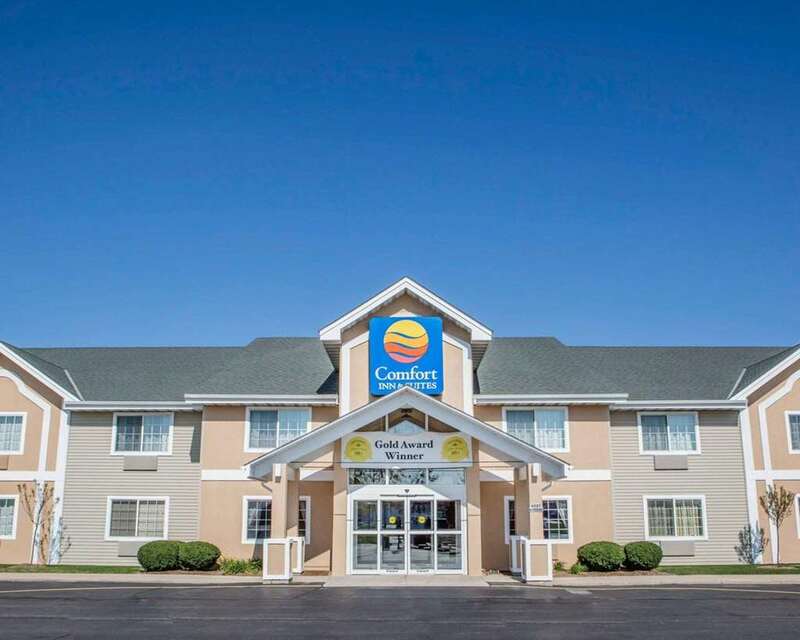 This smoke-free hotel is near destinations like the Washington County Fair Park and Convention Center, Kettle Moraine State Forest Park, Sunburst Recreation Area, Summerfest, Milwaukee County Zoo and Miller Park. Take advantage of amenities like free hot breakfast, free WiFi, a business center, fitness center and free coffee. Rooms come equipped with a flat-screen TV, microwave, refrigerator, desk, coffee maker and hair dryer. Also, earn rewards including free nights and gift cards with our Choice Privileges Rewards program. Pet Accommodation: 15 USD per pet/ night. Max2 per room up to 50LBS. Dogs only.